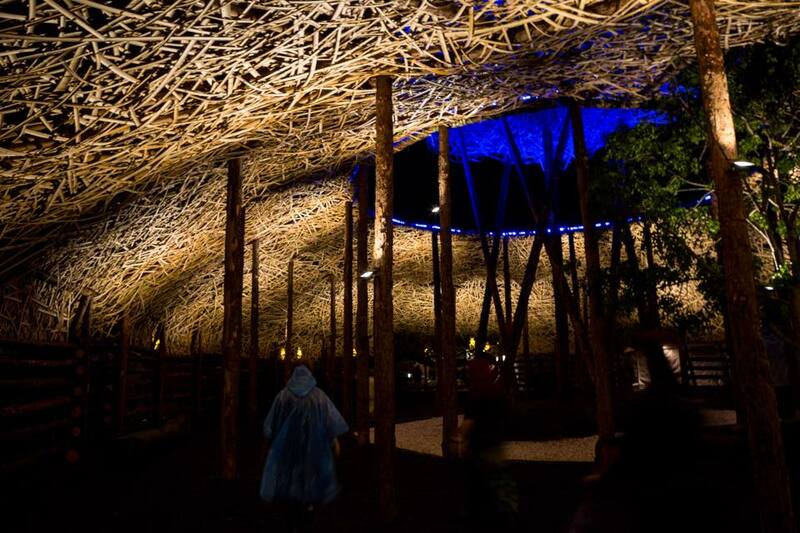 Woven Cloud. 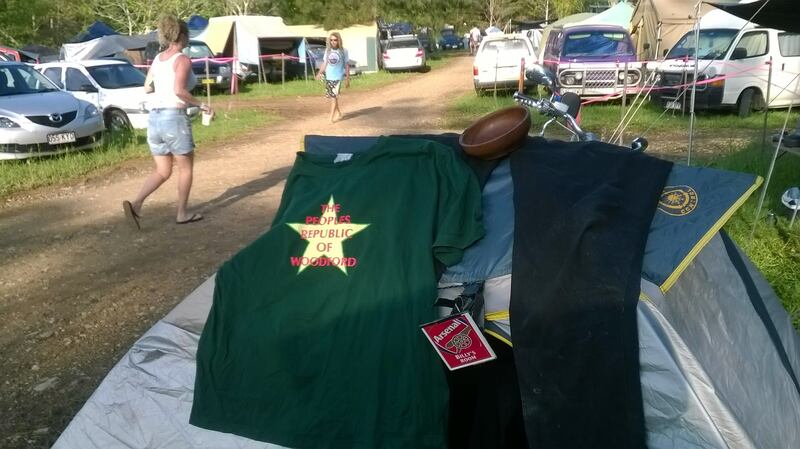 Image courtesy of Woodford Folk Festival. I listened to my host as they opined their assessment criteria of a festival deserving of their attention. Without much in the way of my comment. Certainly no critique or counterpoint from my way came. I’m like that if I’m living temporarily under someone else’s roof. I listen and nod a lot. Even if I have strong opinions to the contrary, it usually takes a team of wild horses to extract them. 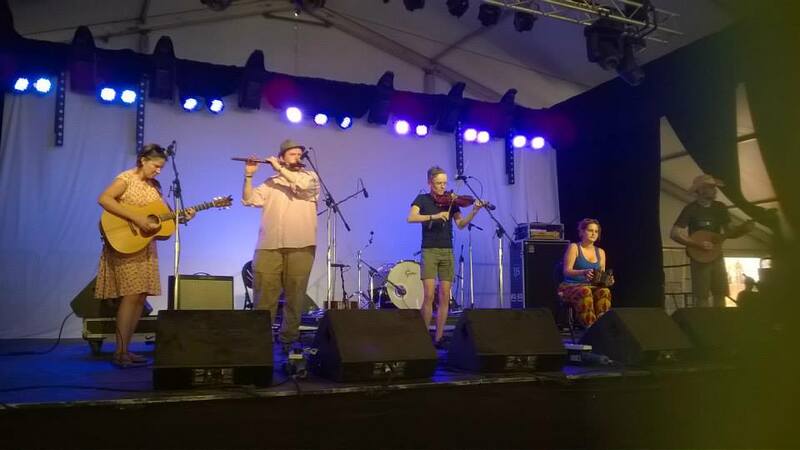 As the sun set slowly over Kilcoy, we bade farewell to the last performance at Woodford Folk Festival as Fantuzzi reggaed the crowd into a fervour. Actually, the sun was long gone by the time Fantuzzi closed out proceedings. And as they finished their last number, the vollys were just getting going and took responsibility for their own entertainment. I was professionally torn. My obligations were long since dispensed with. I wanted to capture some vision of the band, but………. 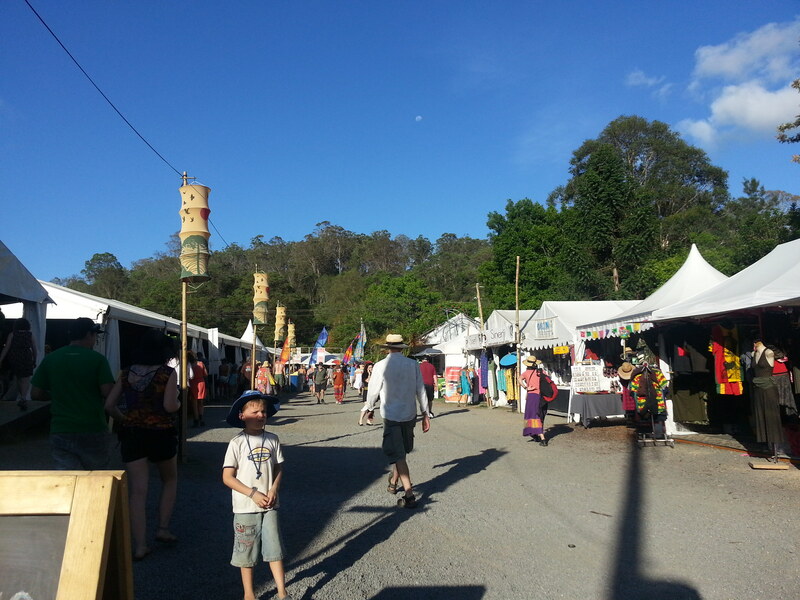 2014-15 is only my fourth trip to Woodfordia, so there are others who are 25 visits ahead of me. 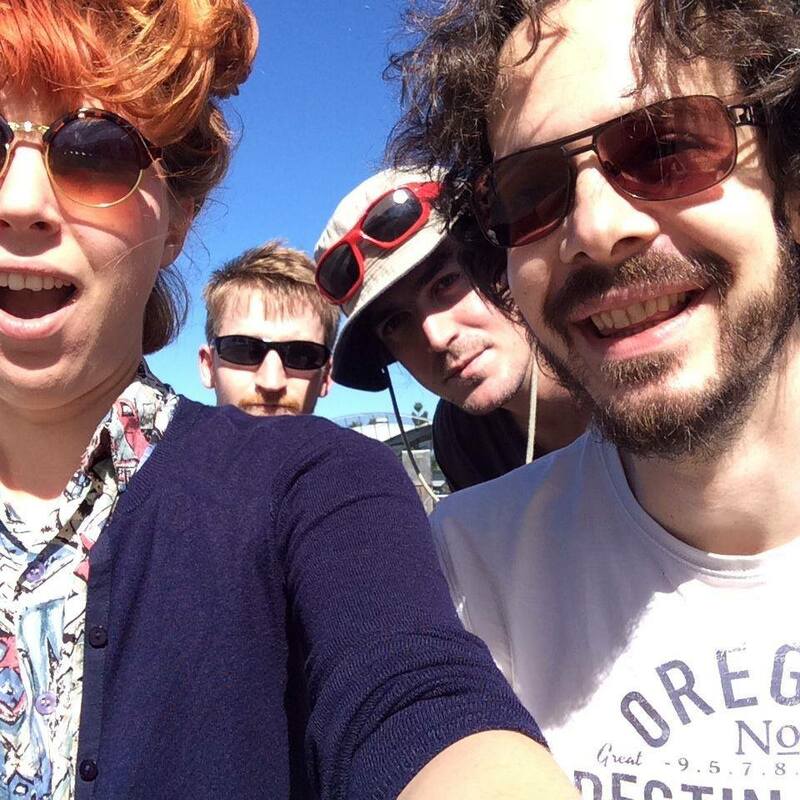 The first three festivals I attended as a volunteer, and like my introduction into the world wide weird of folk merely two years previously, I could not have made a better choice than to join the ranks of vollys, as they/we are affectionately known. I have very little if anything to compare with the frissons of excitement I had as a wide-eyed young 41 year old, reduced by an event to a gibbering little schoolboy. I was in a trippy paradise of heaven. Everything was new, everything was bigger and more colourful, more musical, more stunning, than anything else I’d encountered in music and art to that date. Sorry, Bayern State Opera, but Woodford takes the strudel! I left home several days before the festival started and made a savage hook turn trip from Canberra down to Bodalla then later from Moruya to north Brisbane in one Christmas Day non-stop haul. Google maps informs me that’s about 1450kms on the black-top. Another 74kms to the front gate of Woodfordia, in near carpark conditions on the Bruce Highway. Travel north from Brisbane to the festival on Boxing Day at your own peril. The taste of service station sausage rolls still lingers to this day. Nothing on the highway of any higher gastronomic fare was on offer in 2007, apart from days old sandwiches in those hideous plastic containers that look like they’d been washed and glazed for display. 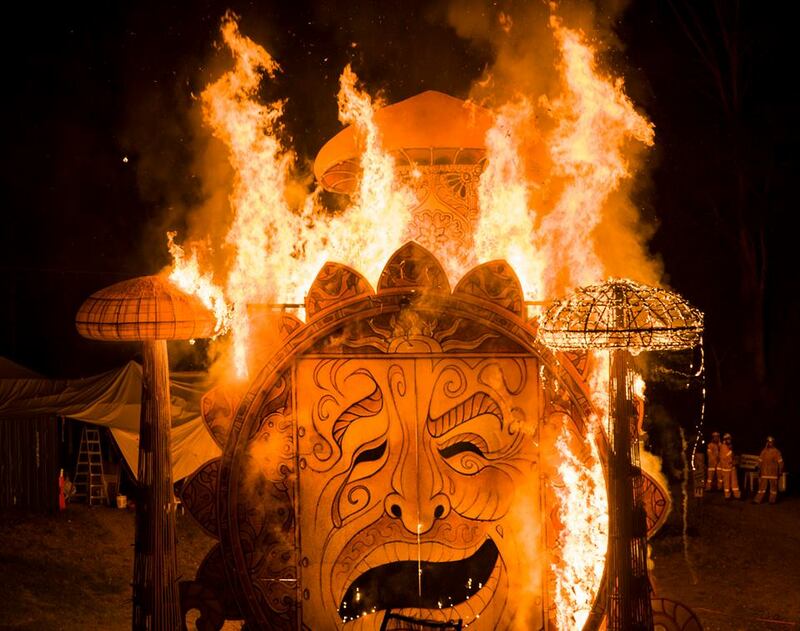 Before I’d heard much of anything about Woodford Folk Festival, back in the unenlightened days of roughly 2006, I’d sure heard about the Fire Event. Attending between 2007-2010, I joined the Fire Choir each year and loved it to bits. BUT being able to sit in the audience with a smashing view, able to take in the full spectacle and stunning sound and light production, I was like an excited 10yo boy. Heightening the experience just behind me was an almost two year old who was in paroxysms and frissons of delight and was joining in, improv-style, during the choral bits. Wonderful. An absolutely stunning achievement. My favourite part, and a moment for me that seemed to encapsulate Woodford, was when the cast on the ground just got stuck in hoe-down style while the tragic-comedy drama face burned. 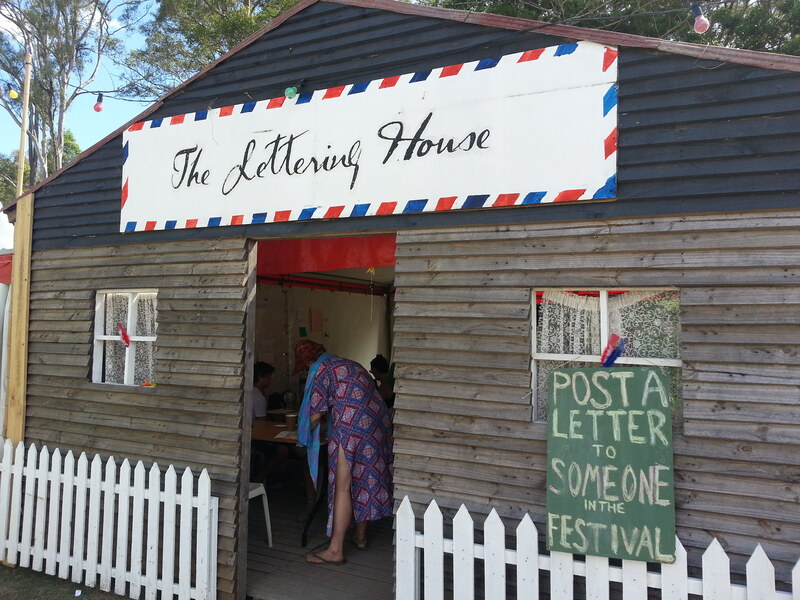 Bill Quinn was sitting having his ritual cup of peppermint tea in Fine Earth Foods at Woodford Folk Festival when a postie came into the venue and started attempting to deliver letters. And then someone with odd socks. What could possibly be happening? What was this specifically non-specific form of delivering items of mail? After an intrepid search through the back-blocks behind the Holy Cow chai tent, we managed to find Roger the Postie who explained all. And as mentioned in the rambling intro, and to Roger off air, the whole shebang gave a strong resonance of Jacques Tati in Jour de Fete. 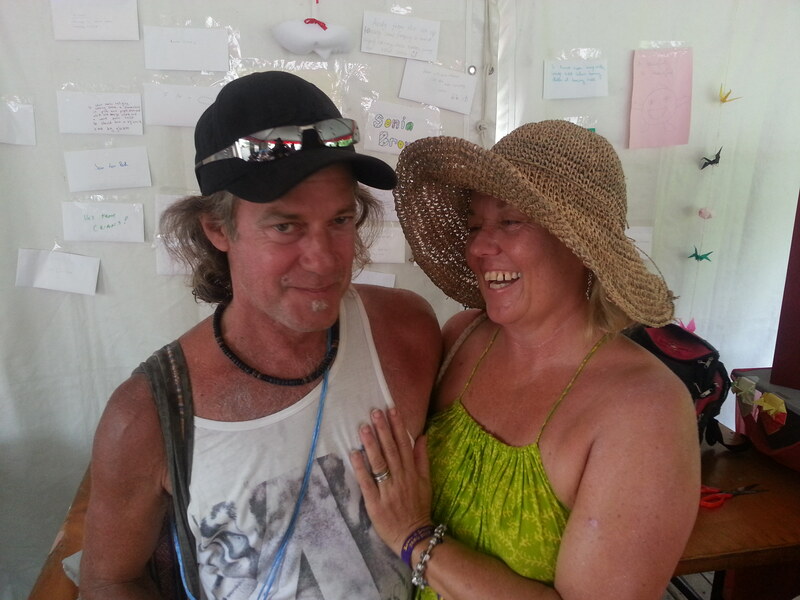 On New Year’s Eve in the Woodford Folk Festival media centre, a young couple walked in with a story to tell and wanted someone to tell it to. Megan and Jake had come to the right place to tell the story of Megan’s mum, Julie and the letter she’s received from Todd. After posting this article, someone picked it up because the number of reads keeps rolling around like a poker machine dial, and this morning, it was getting a lot of interest in USA.